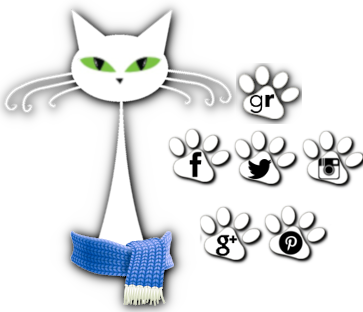 herding cats & burning soup: Email Subscription Problems? Hey All- Really quick question. I think we're having feed problems and was wondering if you get our email updates if they're actually coming through to you on a regular basis. Yall should have gotten one yesterday (thursday) and earlier today. That one I'm sure didn't go out since I didn't get the update either. 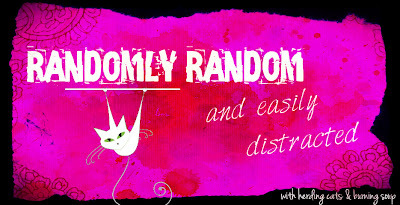 The post for Randomly Random won't seem to go through to email subscribers for some reason but it's a new feature on the blog if you'd like to check it out. You might want to scroll through a few posts too and check out some others that didn't go through. We've had a couple reviews and giveaways the last couple days! Thanks Sharon! This one came through for me too. Would have been nice if the one for our new feature had been included too. Grrr technology! Glad it's working again though! I got this one & it looks like the one I got before this was the Boone Brux one. Thanks Tonya. I don't know why those 3 other posts won't go through. Frustrating. Thanks for letting me know! I got the email on this one, and one yesterday, and the day before. So daily, but not on every post. Aw Miki I wish you were feeling better! Lots of happy healthy thoughts coming your way! Hmm. Alright when you're feeling better I'd love to know how to get that added on the blog as an option. I have a follow comments/posts option but it does have email as a choice just the google feed. Will have to look more into it. Thanks! I got today's email but not yesterdays. I went back and checked it out. I'm going to add RSS follow and see if I get them all that way. Oh I hope that works for you Susan! Thanks for checking in! This one came through at 9:08 this morning but I know I've missed a few this week. I visited here yesterday and was surprised to have missed so many posts. My notifications always take hours to go through after a post goes live, sometimes even an entire day. Gah it's so frustrating isn't it? I know I've wound up on yours and other favorites and been surprised too by ones I hadn't seen. Always figured it was just on my end and had gotten lost in all the emails that come through. I've got all of yall bookmarked and am just gonna have to visit that way on occasion I think so I don't miss posts. Okay I have no idea how to check my limits. Where do I find that? Ah see I was just wondering about yours when this was happening and thinking I'd missed that and would have to come check it out. Damn blogger block! I think I changed mine to 4 or something, I don't remember. But my newsletter had stopped going out altogether, not just skipping posts - but then I usually only have one post a day on most days. Anyway, it doesn't hurt to check it out and try. Thanks Liz. I played around with it a little so we'll see what happens come Monday! I did not get an earlier email, and not sure about the one yesterday. Thanks Aurian. It's looking like it really didn't go out to anyone. Don't ya love technology? I got the one yesterday. Didn't get the earlier one but; got this one. Thanks for letting me know Sue! I hope you figure it out. Oh and thanks Liz!!!! I know I've had the same problem a couple of times. Thanks Kim! I think I got hit by a system upgrade on their part and just bad timing. Aw Leah I hope you feel better! I feel ya on working with the public. I got a horrible cold back in November from the kids coming in the bookstore. I get your emails, though evidently, my blog's emails don't go through. It seems like it's the luck of the draw. It's really odd isn't it? I wish there were a way to get all the kinks out so they're always sent to everyone. I got this one and I'm pretty sure I've been getting them regularly. I hope you find out what's wrong. I think maybe we figured it out and it came down to some bad post timing and an update on Blogger's part. Hopefully that won't happen again. I got this one and the Shield of Fire one before this. Didn't get Randomly Random, Friday Find, nor Cat Thursday. Hopefully it was only a momentary glitch. Google, Gmail, Chrome, etc were rather glitchy on the 20th and 21st. I noticed they were even down for a few minutes on the 21st.